I had a great time hosting the contest. Thanking everyone for their spirited participation. It was indeed a nice experience reading so many different versions to the start of a storyline. I hope, each of you had a memorable time participating and writing your own beautiful ends! I believe it was the first time for many of you and you enjoyed the whole event. I felt overwhelmed when many of you wrote to me saying you enjoyed, just the aspect of writing into a contest - that was the intention behind this idea; to provide an opportunity to write & meet new bloggers and cherish the experience. I am sure we have already learnt a few new things in this exercise. I truly believe, Learning is the reward of Participation. I know, you have been reading this to know when the results would be out and am beating with my words! The judging process is going to be another rewarding experience; with so many entries and each so unique, i have a task on hand. Results would be announced on 6th February 2012. Thank you once again! In the meanwhile, Please read the stories written by other contestants and share your views. 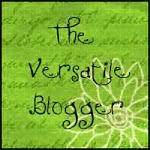 I am announcing a contest for bloggers to participate and enjoy! The main reason behind the contest is to build camaraderie, instigate a spark and learn through contesting. Here you go! I have written the beginning of a story and i would want the contestants to complete it! Sounds simple, isn't it? The vendor called out as he passed the coupe. The baby fell on its knee trying to walk across to his mother. The mother ran to pick up the child and is busy placating him. Ravishing young lady sat across him checking her flock of hair in the mirror of her mini clutch bag. The chatter from the group of young boys engrossed in a card game relayed from above. The train had halted at Varnasi for 15 mins. He hadn’t moved or uttered a word from the time he got on. The newspaper covered Sanjay’s face; his eyes peered through his bi-focal spectacles and his hair rested neatly combed sideways. A pencil in his hand was losing his grip. 1. Contestants should complete this story in 750-800 words(Excluding my start). 2. Contestants should tag two(minimum) other bloggers to participate in the contest. 4. Contestants should tag this post while making an entry to the contest. Create a new post in your blog, link it here and leave a comment for me to know! Are you ready to contest? Contest closes on 31st January 2012. Rush in your entries; Let us have some fun & learning by reading, reviewing and rewarding the blogger community! Damn interesting and thanks for sharing ! how to send or submit ?? You need to publish it as a post in your blog and leave a comment here for me to know! Check the rules once and let me know if you need any clarification. I am looking forward to your entry. I'm new to vigorous blogging. Will try to tag two ppl. But can't be sure if they'd hop on. I'll finish my story anyway. okies got it !! asap ! Thanks Arun! You just need to tag 2 people. It doesn't matter if they participate or not. As long as you try ;-) am ok! ha :) now you are talking. Ok i'll do an honest try. Interesting! You are leaving so many threads to follow. :-) I hope to see an entry from you! Will try my best; but I'm scared. :-) Scared?! A writer like you can't be scared. Thanks :-) I will read it soon. Interesting plot, I want to participate but nervous. Please do :) am waiting for your entry! Anyways i will try to get some tomorrow. Thanks for your participation :-) Try your best with the nominations! Thanks for your entry :-) Am glad you scarred your scared feeling away! Sure. Thanks! It would be nice to have an entry from you. Hey that sounds interesting and thanks for sharing ! Thank you! Would you be participating? I don't know divya, I haven't participated in such competitions till now. Will the number of comments and all matter? Could the story be of any ending and genre from there on? If i write, i will let you know ok? Here is mine. It would be great if you can read and tell me how you felt about the post :) It's my first time in a competition. same with you guys, please give me your feedback. wow, that was quick! Thank you. Sure, will read and share my views. The no of comments don't matter. All the best. 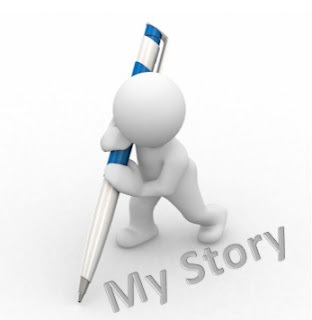 Hello Divya here is my story and this is the first ever attempt by me. Thanks to Deva who tagged me in his Tale. I hope that the story is plausible !!! You are doing a great job keep it up. Thank you :-) Nice meeting you here. Why would a vendor call "Coffee", "tea" at the same time? Kudos to you for initiating this contest and thanks to my fellow blogger Shweta who tagged me to participate in this fun affair! Have tagged a couple of interesting bloggers I know in my post. I did think of it too after writing ;-) Let's keep it this way the vendor was selling both! :-) or it was a call from 2 different vendors..Lol. this is the first time visit to your blog. thanks to Vijay who tagged me for this contest. i am privileged to participate. First attempt to write a story is not less than any adventurous journey. Thank you :-) I know, it is nice to write and be read! Good to meet you here! My link for the contest!! am reаding at thіs рlасe.